Jay Rockefeller: No witnesses have been announced for the Senate hearing. 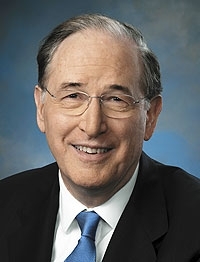 WASHINGTON -- The Senate Commerce Committee’s first hearing on the auto-safety bill crafted in the wake of Toyota Motor Corp.’s problems with unintended acceleration will take place Wednesday, May 19, said Sen. Jay Rockefeller, the committee chairman. The legislation, which is largely similar to a draft bill being considered in the House, would impose technology requirements on automakers, make safety problems more transparent to the public and expand the authority and resources of the National Highway Traffic Safety Administration. A spokesman for Rockefeller, D-W.Va., said no witnesses have been announced for the Senate hearing. A House Energy and Commerce subcommittee hearing was held last week. The proposal drew unanimous criticism from the Republicans on the panel as well as from Michigan Democrat John Dingell.